Watch the Fortnite Fall Skirmish Finals with Us! Super League is dropping into a theater near you. 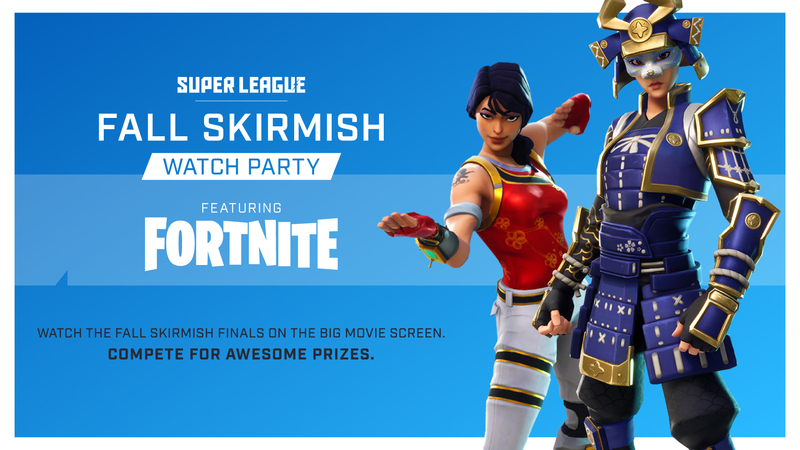 We’re all super hyped for the Fortnite Fall Skirmish Finals… so hyped that we’re throwing Watch Parties across the nation! Whether you’re a newcomer or a member of our Clash Royale, League of Legends, and Minecraft communities, come out to meet the fellow Fortnite fans in your city on Sunday, October 28th. 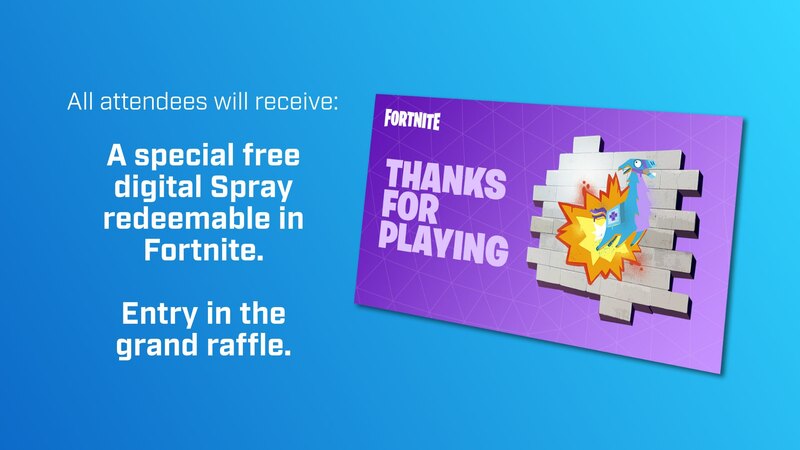 All attendees will take home a free digital spray redeemable in Fortnite and get the chance to win Fortnite pop sockets and T-shirts in our raffles. Bring a mobile device (i.e. Nintendo Switch, iPhone, iPad, or Android) to play Fortnite in the theater for a chance to win more raffle tickets! Find a Super League Fall Skirmish Watch Party near you! Follow Super League on Facebook, Twitter, and Instagram to get the latest updates on all our Fortnite events!